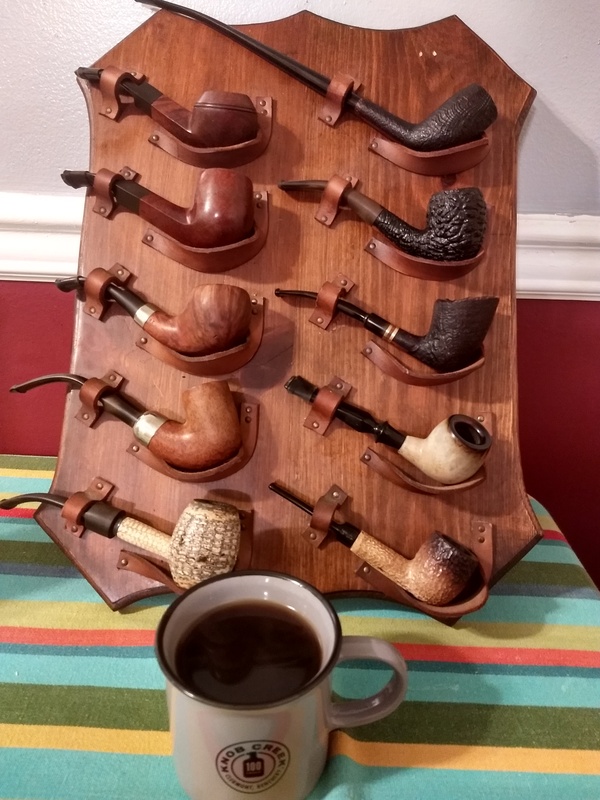 After perusing the "Show us your rack" thread, I concluded that I'd like a better set up to store my pipes. This is a very cool rack, but works best for straight pipes. 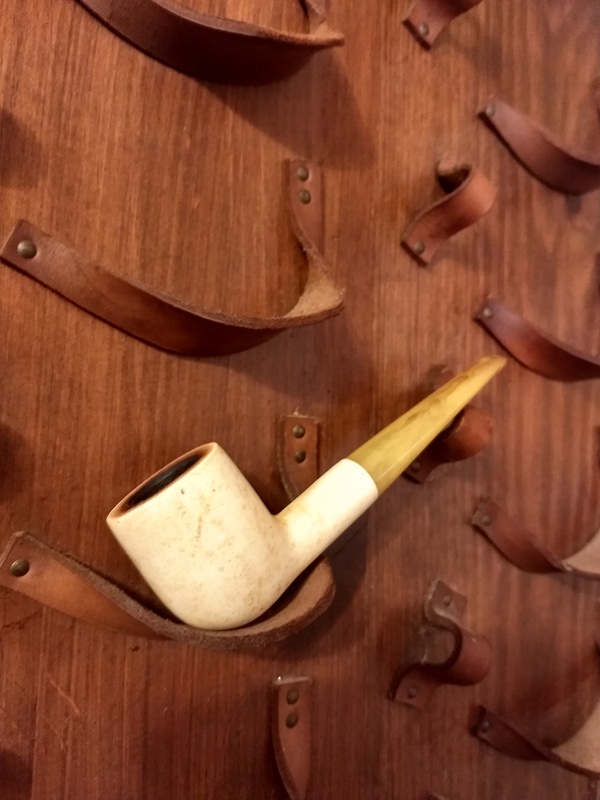 Bent pipes can be a pain to get in/out of the leather loops. 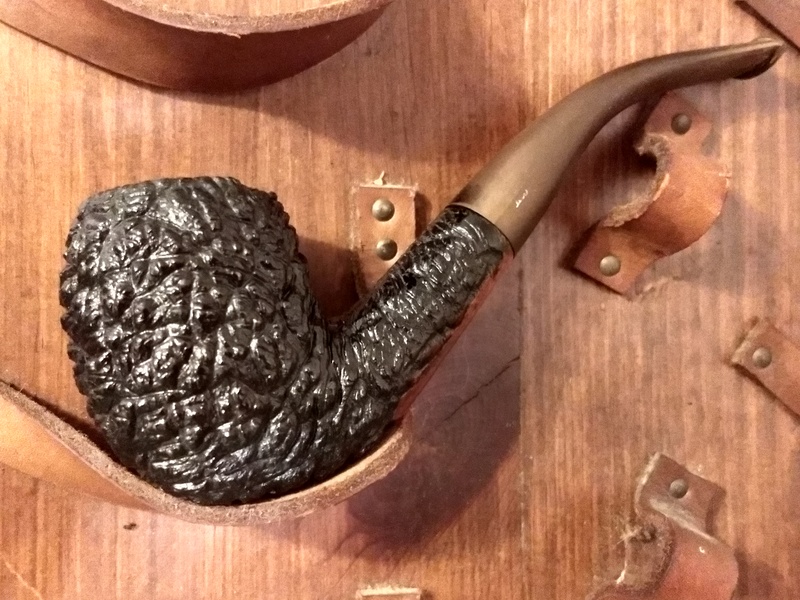 Since I prefer bent pipes, I thought I'd take a stab at selling or trading it. It is a wood backing, and can be hung from a wall. The holders are leather. The leather is dried out a bit, but still pliable. I am away from home for a couple days, but I can get more pictures when I get home. I have seen similar items go for stupid money online. I also know what I paid for it. Not looking to get rich. I'd take a cash sale, or trades in baccy, pipes or racks...especially if trading for a rack that would work better for me.